For some, the most stressful part of the holidays is the debate over when and where to go shopping. 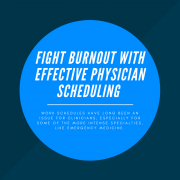 However, as a physician scheduler, life just isn’t that simple. 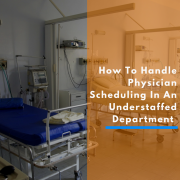 Whether it’s a small organization or a large one, you have to avoid understaffing the department while also keeping the providers satisfied with their schedules. You’ll have to collect requests, accurately track benefit time, and communicate effectively with all involved, for starters. Although the schedule is your responsibility, you should have open communication with your providers. The holiday schedule can be a source of conflict, but a meeting or two beforehand can make all the difference. If the organization has a set policy when it comes to the holiday schedule, arrange a meeting with as many providers as possible to ensure everyone is in agreement with it, or at least understands the policy. More than likely, not everyone will agree, but be open to their concerns and resolve whatever issues you’re able to. If the group is large, it becomes less and less likely that a majority will be on the same page, but make the effort to communicate. 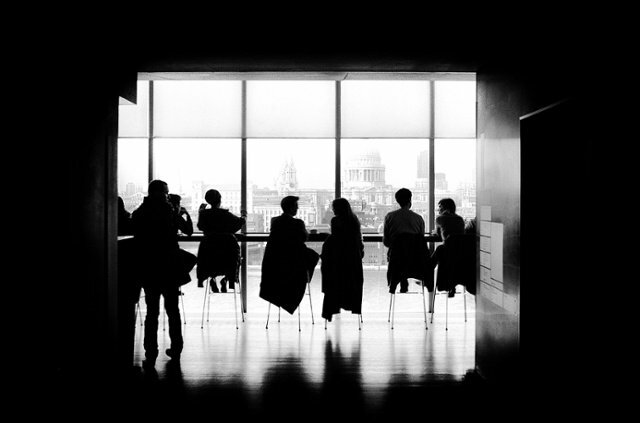 If there isn’t a set policy, holding at least one meeting is even more important. You and the team need to decide what the fairest method is for vacation requests. Should it be based on seniority or done on a rotating basis? One of the fairest ways of solving this issue is to split providers into two teams. One team can have one holiday off this year, while the second team works that holiday and has another off. The schedule rotates each year to, hopefully, minimize complaints. Adjustments can be made depending on what holidays are celebrated within the team. As mentioned, this can quickly lead to conflict if it isn’t handled well, so be sure to have a voting process and maintain an environment where everyone can speak up with their questions and concerns. Some may want to discuss their situations privately, which you should be prepared for as well. Since planned vacations have to be taken into account for the holiday schedule, you should make it a priority to have it posted in advance, possibly even earlier than you would post any other schedule. This will allow for time to deal with any last-minute conflicts before the assignments go into effect. You’ll also avoid a situation like a provider who paid for a trip before their vacation request was actually received and, even though coverage needs are forcing you to deny it, they refuse to change their plans. Early publishing may save you both the headache of having that conversation. Many of your staff will want to be at home or on vacation with their families for the holidays, so vacation requests will probably be pouring in throughout the year, but there are sure to be last-minute ones as well. 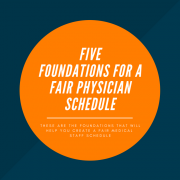 Sorting through these requests involves a delicate balance between allowing providers a much-needed break and still delivering high quality patient care. 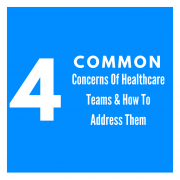 Requests should also be kept as organized as possible–keeping tabs of emails, handwritten notes, and in-person conversations can be done, but it may get overwhelming, especially with a lot of providers involved. 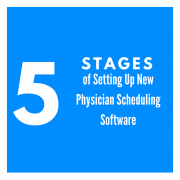 Scheduling software can lift that burden by providing a central system for request submission, approval, and denial. It all depends on which method is most efficient for your team. Not only will staff shortages be a concern, but you’ll also have to keep track of providers’ benefit time as you receive requests. Doing this on paper is possible, but time-consuming. 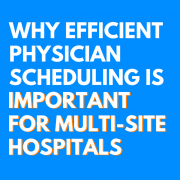 The main goal here is to ensure that providers do not use more than the amount of vacation time allotted to them. Ideally, providers should have a means of accessing their own benefit time information, so an attempt to go over their total doesn’t happen at all. Unless you keep the records constantly updated, though, this can be a challenge. 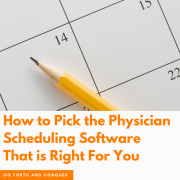 This is another area where scheduling software may be helpful. Consider looking into software with the ability to track, analyze, and create reports for benefit time, and also allows providers to view their totals. Just like your providers, sick patients would probably rather spend the holidays at home than inside a hospital room, but they still need to be well taken care of. In both cases, high-volume shifts will probably be your priority, if you’re able to identify them. 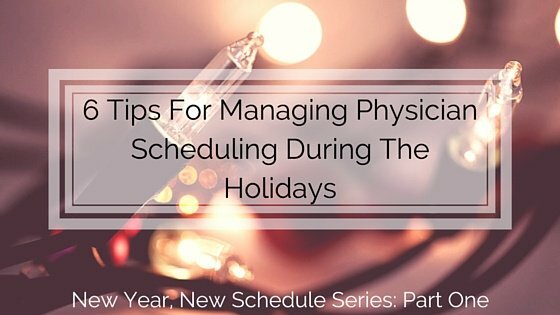 The last point will vary, since patient visits and emergencies can be unpredictable, so your team should be prepared for you to make last-minute adjustments to their assignments if the holidays turn out to be particularly busy. Your second option is to staff the schedule normally, just as you would during the rest of the year. 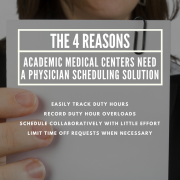 The biggest challenge here will be balancing the schedule while more providers are out on vacation, but the scope of this depends on the results of your meetings and the amount of requests you decided to approve or deny. Once the schedule has been sorted out, there’s no reason working during the holiday can’t be as comforting as it would be if everyone was relaxing at home or out of town visiting loved ones. 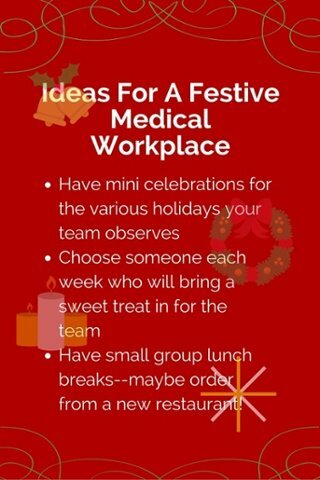 Make the atmosphere as festive as possible so that providers can bond with their “work families” while remaining efficient. There are endless ideas for this, including having mini celebrations for different holidays, having a team member bring in a sweet treat every week, or just having small get togethers for lunch breaks. Not only will these efforts improve the providers’ moods, but the positivity will inevitably spread to the patients and, in some cases, it may even speed up their recovery. Does your organization have any other methods for scheduling during the hectic holiday season? Share them with us in the comments below.